Apple to Distinguish iPhone Apps with "HD"
In the past, whenever there was a new release of hardware or firmware for the iPhone or iPod Touch, users would immediately get familiar with checking to make sure any given app worked on the firmware and hardware they were currently running. However, there were odd reports of iPhone users downloading apps designed only for 3G models, or iPod Touch users downloading apps specifically for iPhone. While this isn’t much of a problem on the App Store located on the device itself, it is in a model and firmware agnostic iTunes. Its also a bit frustrating to have to flip through apps that may not even be compatible with your device. This is the reason it would obviously make sense to have iPad apps have a way of distinguishing themselves from the others. Gizmodo reports that some developers are saying Apple would like to use the initials “HD” to do this. In fact, reports are already coming in that the iPad apps that have already made it to the App Store are already following the naming convention, at least on the gaming front. 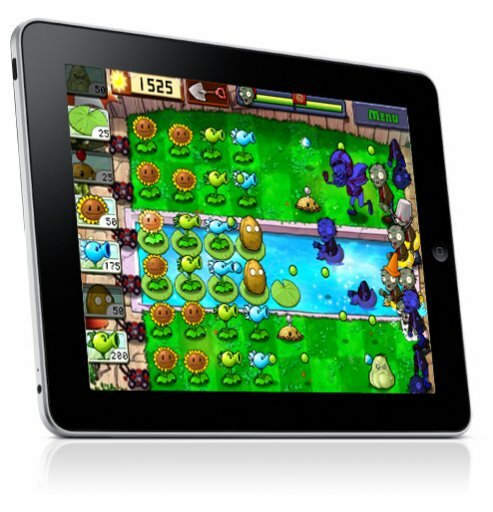 Some of the games for iPad with the “HD” naming convention include Labyrinth 2, Flight Control, Plants Vs. Zombies, and Worms.